The Vegan Revolution Sticker is more durable than our paper stickers. The UV protection is also stronger when you place it outdoors. 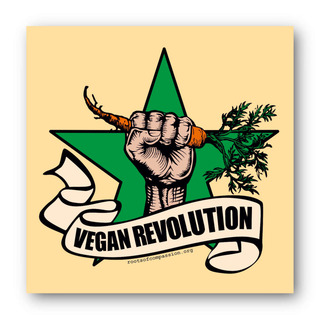 Together we fight or a world that is free from animal exploitation, therefore it must be vegan. Sticker made of semi-gloss PVC foil with strong UV protection.